Diamond rose is a different scent, obviously. And Diamonds Rose only come in EDT. The original one is just called Diamonds and only comes in EDP, which this advert is for and the picture shows? The one I purchased was the Diamond rose version which is definitely only available on n EDT. The advert for this one does not state which of the three Diamonds range it is. Enter the code at the checkout to receive the 25% off. Armani Code Profumo 110ml at boots. Comes gift wrapped with free gift included. Ordered one. Been browsing hot to find something to spend some quid and found this one. Cheapest I’ve seen. Usually £60-70 per 100ml elsewhere, so this is a brilliant price. 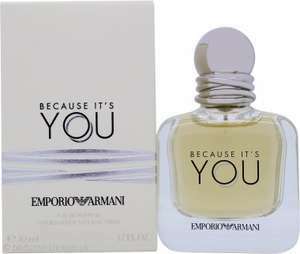 Never miss a 'Armani' deal again! These seems to be a cracking deal for a great EDT Dont forget 3% quidco. I find this to be sweeter than the Intense, I much preferred the Intense. Cracking deal though. I've just been to the local boots, didn't have any stock but ordered it in for delivery tomorrow for the same price. It comes with a free 7ml sample aswell. Even better value. Order confirmed. Thanks! Did you like the smell though? 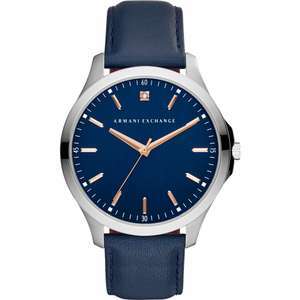 TK Maxx also stock Armani Exchange watches, though I can't verify prices. Does she wear a watch now? If not then maybe a smart watch could be the way to go? This is a bit 'dressy' to wear to gym/shopping etc. Whatever you buy her I'm sure she'll appreciate. If I try it wouldn't go through. Now is that right?? Oh no the deal is over why? Thanks op, thinking of ordering this. Does anybody know if any discounts work pls? Is this a reliable retailer? Smells pretty good this one. Who said you would want a fake? Out of context mate! Basically your a mug if you pay this price for that watch when you can get it for £85 NEW not fake! I was saying who would fake such a shite watch! Why would I want a fake watch? Lol. I need a daily wearer, I own a Tag and my current daily wearar is a gucci automatic. The only 2 watches I own however the Gucci bracelet is starting to look tired, 75 quid to have it polished up if it gets any worse or this. I can kick the hit out of this but still want a genuine Armani on my wrist even if the movements the same lol. The Chinese factories . They can knock them out for less than a tenner a pop . Sell them in bulk for £40 a pop , they make around 250%-400% profit . Then these companies sell them on for double the money at around £80-£90 , people then think they get a bargain. 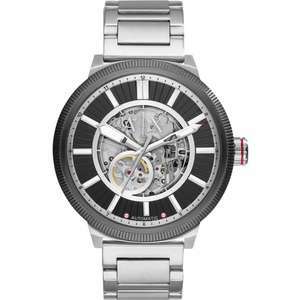 The copies are pretty good as they are not really high end watches like you said , so most wont know the difference. I own a few Armani and Hugo watches , always get them is sales as the are not worth the RRP , but they all last , my oldest one is 11 years old now and still going strong 4 battery changes . Actually there is a big market for replica/fake fashion watches as the majority are made in China, the epicenter for replica goods. They can make the replicas for around £10 and sell them on Ebay or Online only stores for £100...a very good margin. I always wait til they're below £30 and stock up. I got 2 of these for £40 last month. What did you put in search bar can't find it what so ever? Yes it is there if you search for it! They were advertising this as EDP all over Christmas. I have kicked up major fuss with boots and they are now trying to sell of with the correct info as being EDT. Have been offered a 25% refund. Suggest any one who purchased over Xmas also contacts boots due to false advertising and get a refund / discount!! !